hi, how much would it cost to get them to Alaska? and also would I be able to get 2 female finger monkeys also known as marmosets? I am looking for a young squirrel monkey if you have any. I have been looking for a while and I found this post. I would bring it into a loving family. I would love to adopt a young marmoset. Please if you have any contact me back at my email: miike_rodriguez1@aol.com. I will give it all of my attention. 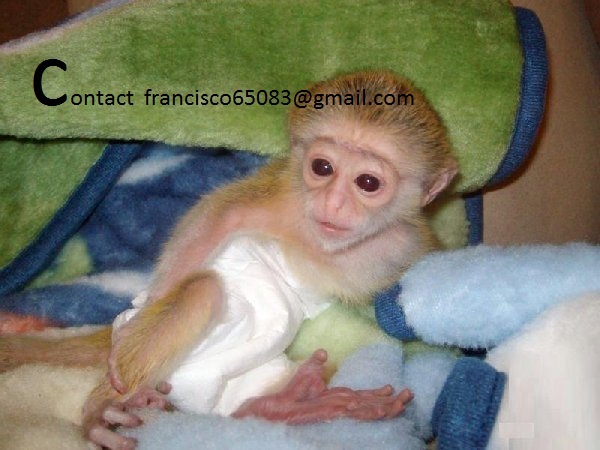 I am very interested in adopting one of your sweet monkeys if you would please email me the ones left for adoption now I would greatly appreciate it thank you very much.